Taco with cheese and salsa — you can’t go wrong, right? Well, no, you can’t. 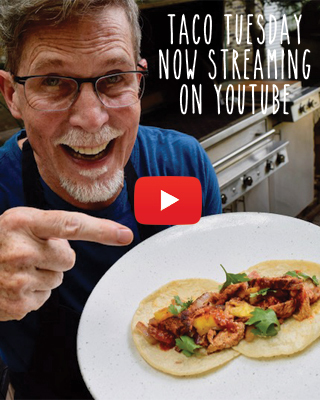 But this week’s Taco Tuesday takes those humble ingredients to a place you may have not been before. Here, we’re filling tacos with golden brown slices of frying cheese — that’s right, frying cheese — which you can find in most grocery stores. Look for something called, um, “frying cheese” (halloumi works well here) or, in a Mexican grocery look for queso para frier or queso asadero (grilling cheese). They’re going to be fresh-tasting, a little crumbly and slightly spongy, cheeses that won’t melt when they get that high-heat sear in a heavy skillet. 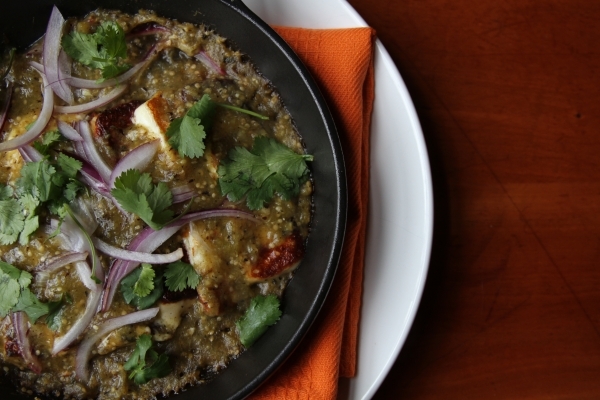 Inspired by Oaxaca, we’ll next make a rustic roasted tomatillo salsa, the char and tang offering a perfect compliment to the sweet-and-milky goodness of the fried cheese. Short on time? These seared-cheese tacos are equally as good with a jar of roasted tomatillo salsa.